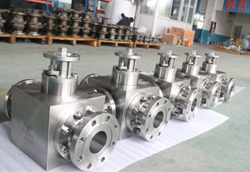 Forged steel A105 body 3 pieces ball valve Forging is the most common ways to create high-quality valves. 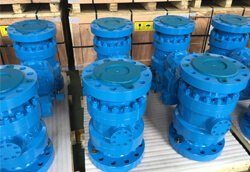 The forged valves have a reputation for being strong,which make them are more suitable for high-pressure and high temperature in using service. PS: We also can make products according to customer's drawing. injection. It is effectively avoiding the leakage caused by the stem "O"rings are unexpectedly damaged. seat, and it is easier to achieve the sealing performance. 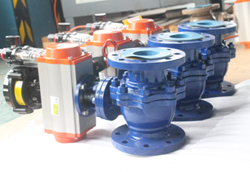 DBV trunnion ball valve design forms a electrostatic channel through ball, stem and body. ball and the seat. This structure could avoid the fire disaster and explosive accident. is guaranteed by the axial movement of the seats for springs or inline pressure. leakage between seats and ball. all the cost arising form the quality problems caused by the manufacturer within two years will be afforded by us. In general, the delivery time will be confirmed with the customer in the order. After receiving the goods, you will get a professional installation guide. If you like our valves, please bookmark our Facebook,Twitter, which is easier to find us. if you need it one day in the future,we do appreciate it for your kindness. 1. 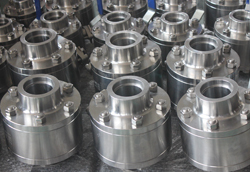 Urgent Grease Injection Device: Trunnion ball valve(DN≥150) aims to prevent the medium leakage of the seal ring and stem. 4. Anti-static Design: DBV trunnion ball valve design forms a electrostatic channel through ball, stem and body. This structure leads the electrostatic spark to the earth caused by the friction between the ball and the seat. This structure could avoid the fire disaster and explosive accident. 5. Standard Single Piston Action（Self-relieving Seat）: The fluid pressure, both upstream and downstream creates a resultant thrust that pushes the seat rings closed to the ball. The fluid pressure acting in the body cavity creates a resultant thrust that pushes the seat rings away from the ball. The single piston design permits the automatic release of any over pressure in the body cavity when the valve is in the fully open or fully closed position, therefore the seat rings are "self-relieving". Optional Double Piston Action: The fluid pressure acting in the body cavity, both upstream and downstream creates a resultant thrust that pushes the seat rings closed to the ball. The seat rings of the valve with double piston action require a relief valve in order to reduce the over pressure in the body cavity. 6. Actuator Installation Yoke: This structure facilitates to install the actuators, such as pneumatic, electric, ,hydraulic and pneumatic&hydraulic, etc.